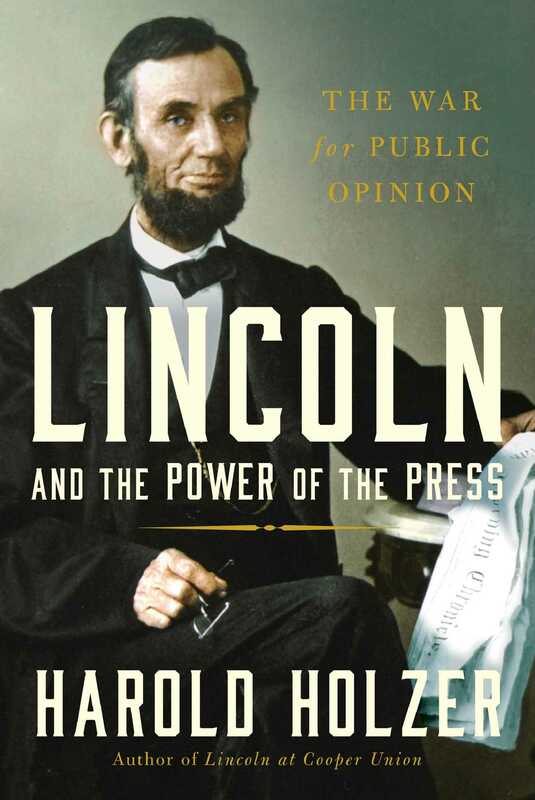 Behind the Book: Lincoln and the Power of the Press History in Five: Abraham Lincoln and the Press What is Harold Holzer's Favorite Movie? Find Out Now! Behind its serenely bustling facade, however, the frontier capital also ranked as one of the most contentiously riven political hotbeds in the country—a seething two-party battleground where election campaigns took on the militant urgency of outright war, and combatants deployed newspapers as their most powerful weapons. Such was never more the case than in 1859—the eve of the most potentially divisive presidential election in American history. Fueling this combustible mix were Springfield’s two major newspapers. Both covered neighborhood news with anodyne charm, but when it came to local, state, and national politics, both stoked the ferment with an overtly partisan style that combined advocacy with almost libelous criticism. One paper was dependably pro-Democratic, the other unfailingly pro-Republican, and each was steadfastly, often maliciously, opposed to the other. Rather than merely reprint what one editor termed the city’s constant “flood of eloquence”3 from politicians on both sides, these irreconcilable journals could be depended on to laud allies and eviscerate opponents. When they were not dishing out equal doses of praise and rage in their regular editions, they engaged their presses to print party pamphlets and political orations. If they were fortunate and well connected, they received rewards for their loyalty in the form of government printing jobs. The mutual interdependence that grew up between the press and politics made for a toxic brew. No politician was above it, no editor beyond it, and no reader immune to it. Now, with the next national election only a year away, with the contest already being widely touted as the most crucial of the century, and with the issue of slavery roiling the country, local interest in national issues and personalities approached a fever pitch in Springfield, in part for a reason unique to this otherwise typically divided Western city. For by 1859, its residents could boast that their town had incubated two immensely gifted potential aspirants for the White House: United States senator Stephen A. Douglas, and former congressman Abraham Lincoln. Douglas, the “Little Giant,” led the pack among his fellow Democrats. And while “Long Abraham” was perhaps not yet widely known enough nationally to rank as a top-tier contender for the Republicans, he remained an intriguing dark-horse possibility for their ticket—perhaps, as some ardent supporters began whispering, for vice president. No one knows precisely when Lincoln began aiming still higher, but to bring the presidency within his sights he certainly knew where he needed first to burnish his political profile: in the Republican Party press, and not just among the usual loyalists who read the newspapers in his hometown. Lincoln had been assiduously courting editors in nearby villages and cities for years. Describing his ambition as “a little engine that knew no rest,” his law partner and political confidant, William H. Herndon, testified that Lincoln “never overlooked a newspaper man who had it in his power to say a good or bad thing of him.”4 For now, however, Lincoln still lacked both real political power and routine attention in the press beyond Springfield. And he still thirsted for both. To comprehend what motivated this indelibly American politician to purchase a foreign language newspaper he could never hope to comprehend requires a quantum leap of historical imagination—back to an era when the press and politics were profoundly interconnected, and newspapers themselves became more overtly partisan, more narrowly targeted, yet more deeply influential than at any time before or since. Abraham Lincoln’s emergence as a newspaper publisher constituted but one example of the pervasive and sometimes incestuous relationships that grew up between politicians and journalists in the fierce battles for public opinion and government power in the decades leading up to the Civil War—and beyond. That such affiliations, however common at the time, were still considered vaguely unsavory by some, seems evident in how assiduously Lincoln kept his own newspaper investment quiet. Except for his private banker, his law partner, and but one fellow Illinois Republican politician, he seems to have told no one about the purchase at the time, or, indeed, for the rest of his life. For four score years, his involvement remained largely unknown even to biographers.6 Yet the truth is, the arrangement would likely have surprised, much less scandalized, few of his contemporaries. Lincoln was neither the first nor the last politician of his era to dabble in the newspaper business—ethnic or otherwise, covertly or not. Countless prominent officials of the mid-nineteenth century did so with confident abandon, making partisan journalism an integral cog in their political machines. This vanished tradition informs the neglected story explored in this book: how in the age of Lincoln the press and politics often functioned in tandem as a single, tightly organized entity in the furious competition to win power and to promote—or, alternatively, resist—political and social change. The financial and popular success that many newspapers enjoyed in pursuit of political goals enabled them to influence both leaders and events, and emboldened them to report on politics with a biased fury unimaginable in previous or subsequent generations. Not until the Civil War would precedent-shattering conflicts arise between government and the press, forcing these traditions into dramatic (and perhaps overdue) change. To explore these complex relationships, and calculate their profound impact on history, this book proposes to reexamine Lincoln’s political life through prominent period newspapers and their editors—focusing not just on how newspapers reported on and influenced his ascent, but how his own struggle for power, and that of most of his political contemporaries, unfolded within a concurrent competition for preeminence among newspapermen to influence politics and politicians. Newspapers of the day occasionally manufactured politicians, just as politicians often manufactured newspapers—but in the end they were of, by, and for the same environment. They became mutually dependent and totally inseparable—weapons in the same arsenal. In some cases, they synchronized their efforts so closely that it was impossible to determine where one organization ended its work and the other began it. Lincoln embraced and thrived in this milieu, yet the story has escaped full scrutiny since. To speed government news to this scattered population, leading politicians and journalists hatched the transformational idea in around 1800 of designating one particular Washington-based newspaper as an official political “organ.” For generations thereafter, whenever one party or another took over the White House, an anointed journal assumed the privilege of breaking administration news in the capital, and introducing debate points that papers in outlying cities could readily adopt for their own readers. “Old Hickory” apparently learned from such experiences. For one thing, he named Amos Kendall, editor of the pro-Democratic Argus of Western America, as postmaster general.13 Expanding on the tradition of rewarding loyal newspapers once he became president, he saw to the creation of an entirely new, official administration organ called the United States Telegraph. Its editor, a Missouri-born former Indian fighter named Duff Green, who remained professionally active into the Civil War era, composed his editorial “batteries” with “such vigor and clamor” that he quickly earned the nickname “Rough Green.”14 Green innovatively used his position as the president’s official journalist to establish a large personal following and a wide network of pro-Jackson publications nationwide—essentially the first newspaper “chain,” one in this case linked by shared political beliefs. To broaden circulation of the Telegraph, Green initiated a more dubious tradition by seeing to it that Democratic congressmen assumed the cost of distributing his paper in their home districts, a practice that not surprisingly invited abuse. One representative was soon discovered to be using his free postal privileges to send more than sixteen hundred papers to constituents in Kentucky.15 Unthinkable today, such crossover relationships became commonplace in the early nineteenth century, when newspapers were expected to remain faithful to their political patrons, and vice versa. In this linked political culture, there was no room for dissent. When the hot-tempered Jackson later lost patience with the increasingly independent Duff Green, the president scuttled their relationship and helped establish the Washington Globe as the party’s replacement mouthpiece.16 Jackson’s enemies even whispered that he edited the new paper himself. Although untrue, Old Hickory’s rumored personal involvement seemed fully credible at the time. For his part, Duff Green joined the opposition Whigs. By the late 1830s, with printing processes now modernizing rapidly, many cities and towns across the country boasted successful newspapers of their own. The growing hunger for information—coupled with a rising literacy rate along with a soaring passion for politics—increasingly spawned not one but two rival publications in even the smallest villages. Soon, if a municipality bred one particular journal targeted to local Democrats, it invariably hosted another dedicated to (or run by) the Whig opposition. These papers alternatively endorsed or assailed the official White House line, and applied rigid partisan judgments to regional, along with national, issues and candidates. Within this increasingly connected partisan world, publishers began entering electoral politics themselves, just as politicians—like Jackson and, later, Lincoln—occasionally backed newspapers to expand their influence and reach. Such alliances were often inspired by motives other than a shared philosophy of government. To maintain loyalty among friendly journalists, those holding political office routinely doled out such incentives as paid advertising, lucrative printing orders, and publicly financed subscriptions, not to mention well-paid nourishment from the patronage trough and choice seats at the tables of power. Publishers in turn provided the officials whom they favored with unlimited news space and unbridled political support. The inviolable line that today separates politics from the print press—at least as an ideal—had yet to be drawn. Rather, the worlds of politics and the press functioned in tandem, within a system of widely accepted mutual interdependence in which each fueled the success of the other, sought the destruction of the opposition, and often encouraged practitioners to occupy both professional spheres at once. These English, German, and French visitors were on to something important: American politicians and publishers had by then settled on a journalistic dynamic that stressed opinion over news, and party over public interest. The antique values of political independence and journalistic impartiality, if they ever really existed, vanished with the rise of political parties and the development of steam-driven Napier printing presses fast enough to produce some five thousand printed pages every hour. Nothing comparable to this rapid, rancid brand of journalism would ever be seen again—until the era of undisguised television advocacy as exemplified in the twenty-first century by Fox News and MSNBC (which despite their own blaring partisanship inspire no more than 50 percent turnouts in presidential elections and an ever-decreasing number of voters willing to align with the Democrats or Republicans—the opposite of the stimulating effect the press exerted on voters and voting a century and a half ago). By the 1850s, the era that welcomed so-called Lightning Presses capable of four times the hourly production of the Napier machines, almost no independent voters were left in America, only Democrats and Whigs (most of whom later became Republicans), and nearly all of them avid readers of newspapers. Kept in a perpetual state of political arousal by journalism, and further stimulated by election cycles that drew voters to the polls several times each year, not just on the first Tuesdays of November, the overwhelming majority regarded politics with a fervor that approached religious awakening, evoking interest characteristic of modern sports or entertainment. With only a few notable exceptions, few unaligned newspapers prospered. German instruction may have been a laughing matter to Lincoln, but German voting power, and the ability of the German language press to reach this crucial and expanding electorate, was deadly serious business. By 1860, Lincoln’s new publishing partner, Theodore Canisius, estimated that sixty-seven daily and weekly German language newspapers already existed in the Northwest.27 Their cultivation was but one aspect of the broader goal of befriending politically compatible publishers in outposts across the nation, wherever voters could be converted and coaxed to the polls by an editorial call to arms or, conversely, inspired to angry retribution by a scathing attack on the opposition. In this atmosphere, traditional salesmanship and manipulation—what today we call public relations or marketing—was but one weapon in a smart politician’s arsenal. Unlike Smith, Cameron, and Hamlin, all of whom quit journalism for politics, as well as Lincoln, who concealed his own late involvement in publishing, a number of publishers who craved elective or appointed office never entirely abandoned their newspaper careers merely because they held down government jobs. Instead, they played the roles of publisher and politician concurrently, to little surprise, much less outrage, from a public that largely perceived no conflict in such arrangements. The powerful New York Republican chairman Thurlow Weed, for one, controlled Empire State politics for years while—or as some said, by—running an influential Albany daily. Horace Greeley sought or served in elective office several times while publishing his New York Tribune—even though he later unctuously termed it “impossible for a journalist to reconcile independence in his profession with office-holding.”29 Greeley’s journalistic competitor, Henry J. Raymond of the New York Times, functioned as both an elected and a party leader without ever relinquishing editorial duties at his newspaper. Then there was the tangled case of Fernando Wood, the Democratic mayor of New York at the outbreak of the Civil War, who responded to the secession crisis by proposing that his city quit the Union, too, the better to preserve its profitable trade with the South. Wood owned no newspaper of his own to ballyhoo his treacherous proposals—at least not technically. Formal title to the daily that most vigorously cheered his call for municipal independence, the anti-Lincoln New York Daily News,I resided officially with Benjamin Wood—the mayor’s brother, who later sought and won election as a congressman (as did Fernando as well, after losing his bid for another term in the mayoralty). However corrupt such combinations may seem by modern standards, the system seldom aroused questions, much less challenges, in the Lincoln era—except, of course, from the opposition press. As these crossover relationships demonstrate, politicians of the nineteenth century did far more than court the press, and the press in turn did more than merely report on politics and politicians. The development of America’s two-party system brought with it the birth of the one-party newspaper. Their intertwined, mutually enriching, potentially conflicted relationships dominated, indeed defined, both politics and the press for more than a century. That the system also encouraged crucial debate on freedom and slavery, nationalism and state rights, and ultimately spawned breathtaking reforms in American life, remains one of the marvels of nineteenth-century history. For in many ways, the absence of an independent, national American press—or even a monolithic regional press—also increased sectionalism and hastened disunion, war, and ultimately, a new nationalism predicated on a new definition of freedom. By the time of the secession crisis, the institutions of politics and the press had become almost indistinguishable—having joined forces in open and impassioned collaboration. It took no less existential an event than the Civil War itself to unravel this incestuous partnership. Secession and rebellion upended tradition, but not before unleashing convulsive repercussions—including a widespread appetite for censorship and repression—that threatened the future of the free press itself. In one perhaps inevitable result of this longtime collusion, once the war of words exploded into a war of bullets, newspapers, once employed as weapons, instead became targets. What this book proposes to explore is how the leading characters of the most divisive era in American history, political and journalistic alike, used (and in turn were used by) the increasingly popular and influential press to define and occasionally distort political debate, to make and break political careers, and ultimately to revolutionize American society. It aims to show how the leading figures in the intractably linked worlds of politics and the press waged a vigorous, often vicious, competition to determine which political belief system would emerge with more popular support and thus shape the national future. In a sense, the saga is too big to be told in a single volume, for at its most robust the industry involved thousands of editors and politicians nationwide, hundreds of thousands of readers, and millions of pages of newsprint. This is decidedly not another book about the so-called Bohemian Brigade—the band of battlefield correspondents who fanned out to cover the battles and leaders of the Civil War, a worthy subject amply covered by other authors.30 Nor is it a book only about how newspapers treated Abraham Lincoln. Instead, this work seeks to explore the broader story of nineteenth-century political journalism through a much more focused lens: by tracking the chief political and journalistic personalities of the day to weave together two specific, ongoing, and historically vital competitions. The first percolated for more than a generation between a pair of rival politicians of the era, and the second raged for decades among three extraordinary journalists who covered them—and of course attempted variously to cheer, vilify, and influence them (and each other) as well. The political focus will fall on the twenty-year-long political battle between fellow Illinoisans Abraham Lincoln and Stephen Douglas. The Whig-turned-Republican Lincoln and the lifelong Democrat Douglas emerged as the two most prominent leaders in the most contentious era in American history, opposed each other at crucial moments for major offices, filled the press with their oratory, and earned both praise and criticism in newspaper accounts published not only in their home state, but from New York all the way to the national capital. To be sure, many of the colorful contemporaries of these three newspaper titans, and the politically motivated exploits of their publications, will also make appearances on these pages. In addition to acknowledging other leading editors in New York, the book will explore parallel journalistic rivalries in Springfield, Chicago, and, of course, Washington, in all of which Lincoln and Douglas competed for newspaper space as their own political aspirations expanded beyond Illinois. The thriving weekly press will be addressed along with the daily, as will the abolitionist and black press (and the overtly white supremacist papers as well). The editors of pro-secession and Confederate journals will appear, as will the creators of the new pictorial weeklies. As Lincoln’s years as a “German publisher” demonstrate, the foreign press played an important part in this history as well. But the focus will remain fixed on the trio of extraordinary New Yorkers and their profound influence on the American press and politics. The three were also remarkable individuals. They loved their profession as passionately as they loathed each other, and each believed, in his own way, that he was all but ordained to chart the course for the future of civilization. As surely as did the principal political advocates of the day, the Times, Tribune, and Herald vigorously defined and debated public issues. As overtly as candidates, they sought and corralled votes. As aggressively as armies in the field, they fought battles. Although they differed enormously in personality—Bennett was an audacious showman, sly and given to the grandiose; Greeley a self-righteous reformer, passionate but easily dismayed, diverted, and bruised; and Raymond a civic-minded moderate, progressive but sometimes maddeningly practical—each believed without question that he best understood the pulse of the country, and offered the only worthwhile advice to keep it beating. According to another period observer, the New York papers reached “the controlling minds of the country . . . in all reading-rooms, exchanges, bank parlors, insurance offices, counting-rooms, hotels, and wherever else the ruling men of the country congregate.” But above all, the “grand reason why the New York papers” enjoyed unparalleled “national importance” came through “the scissors”: for out-of-town journalists routinely clipped and reprinted what the New York editors originated. Bennett, Greeley, and Raymond effectively created “daily copies for all editors to follow.”37 Of at least equal importance, the Tribune, Times, and Herald also circulated nationally in their own extraordinarily popular weekly editions—the equivalent of Time and Newsweek magazines a century later. For all these reasons, no three editors became more famous, feared, controversial, or assiduously courted than “The Old Philosopher” Greeley, “The Little Villain” Raymond, and “His Satanic Majesty” Bennett—derogatory sobriquets that haunted them for much of their careers. None better represented the confluence of press and politics. None aspired to more power. None more exhaustively covered the battles, leaders, and politics of the antebellum and Civil War periods, or sought more audaciously to direct the war’s outcome and either guide or impede its leaders, Lincoln included. And none was surpassed as source material for the political and military events of that bloody struggle. Greeley, Raymond, and Bennett became national celebrities by inventing different styles of partisan journalism—templates that endure to this day—and despite their endless squabbling, they brought newspapers to the summit of their power over American life. Among them, for better or for worse, they invented modern journalism. Along the way, the Times, Tribune, and Herald did nothing less than produce what is often, and justifiably, called the first draft of nineteenth-century American history. Certainly, historians still scour their pages for reliable contemporary information about slavery, secession, and the rebellion. This data their archives undoubtedly contain—though a reader examining each of the three for accounts of specific wartime events may still come away with entirely different impressions and opinions. As this book hopes to demonstrate, the products of nineteenth-century journalism—and their leading producers—cry out for a reappraisal that takes into account the filter through which their landmark work was originally accomplished: that of unbridled political partisanship, and a desire to influence, and in some cases, participate in government. Hopefully, this study will provide a fresh way to reexamine that first draft of history in light of the undisguised philosophies and raw politics that inspired so much of what not only informed, but also divided, those who read and lived through it. “Public sentiment is everything,” Abraham Lincoln declared during his 1858 senatorial debates with Stephen Douglas. “With public sentiment, nothing can fail; without it, nothing can succeed. Consequently,” he added in a remarkably frank admission, “he who moulds public sentiment, goes deeper than he who enacts statutes or pronounces decisions.”38 It is time we took Lincoln at his word and examined his extraordinary focus on—and mastery of—political journalism as a means to earn and sustain voter support. For the most part, history has always focused on “statutes” and “decisions.” Yet in their own time and for several generations, Lincoln and his political contemporaries devoted a remarkable portion of their energies to mould public sentiment through the press: not just by appealing to journalists but in influencing the press directly and in some cases managing the press themselves. A fresh exploration of these alloyed historical currents, with the press not merely reporting the momentous events, but functioning as an integral part of the forces that shaped them, may hopefully shift, or at least balance, the historical emphasis. 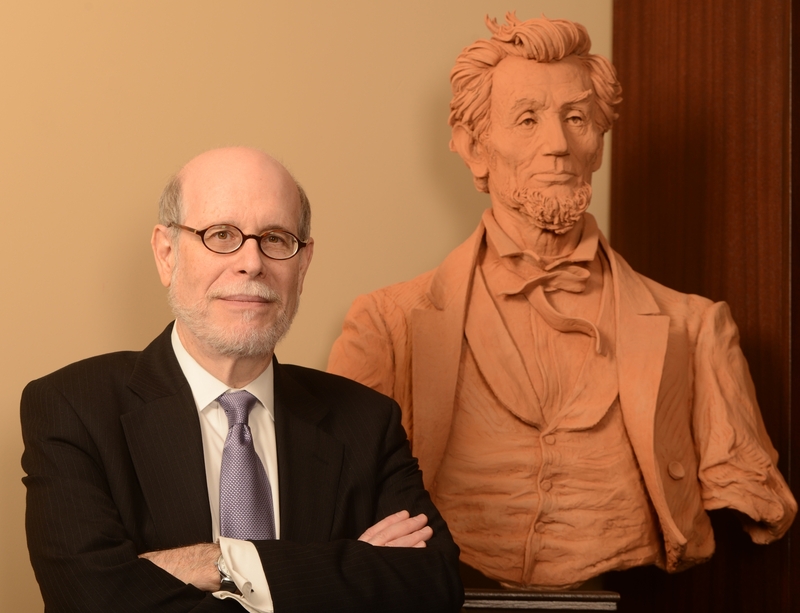 It will shed new light on a crucial but neglected aspect of Lincoln’s leadership. What follows is the story of an epic partnership involving politicians who rose and fell on the currents of American journalism and newspapermen who labored to abet, or impede, their political aspirations. It is a story of both unexpected alliances and brutal wars—uncivil wars. I. Not to be confused with the modern-day tabloid newspaper of the same name. "Remarkably readable and entertaining . . . "